KRM Yacht was founded for the sole purpose of "refit" projects on superyachts. In this context, it is a great pleasure to state that we are the first and only company in Turkey specializing only in refit. We believe that the professional perfection depends on highly qualified craftsmanship, honesty, decisive budget and on-time delivery. In this manner, we are proud to have a project management and development team consisting of marine engineers, naval architects and captains. In addition to this team, we have professional in-house service teams and qualified subcontractors on each aspect of the project. These subcontractors and craftsmen were carefully handpicked at the time of our foundation and, over the years, have become trustworthy partners who have proved their dependable services. Every owner initially has reservations about the processes of the refit project. Financial projections are the usual worry where the "word on the street" is that the projects are always over budget. Another concern is that they feel unable to see and/or control the daily progression of the project. In order to overcome these reservations, to maintain the transparency of our craftsmanship and to gain trust; We always carefully plan and work on budgets accounting for every minor detail. Give access to our servers providing "View Your Yacht" feature where you will be able to see the progress 24/7. Our meticulous craftsmanship on our projects cover marine mechanics/machinery overhaul, all types of hull structural work, painting, marine electricity and wiring, electronics, piping, industrial cooling and air-conditioning, interior design and upholstery. With years of experience of our in-house teams and the trust we have in our subcontractors, we pride ourselves on providing "on budget" and "on time" deliveries. 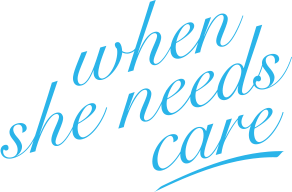 We are pleased to provide the best "when she needs care.."